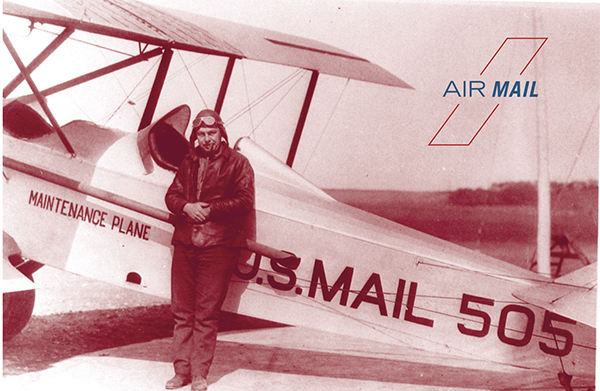 The vintage Air Mail "brand" which is a service which ships mail across the U.S., it is commonly associated with the blue and red diagonal stripes on envelops. 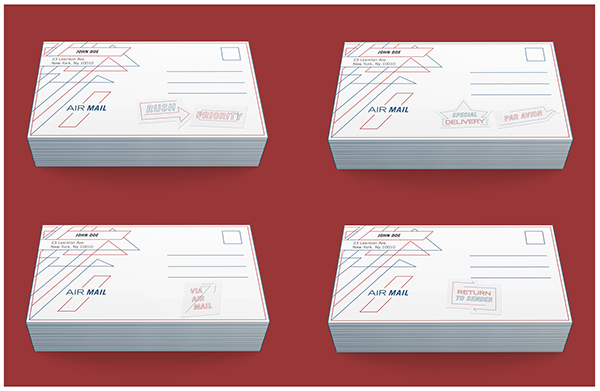 This "brand" needed a long awaited update. 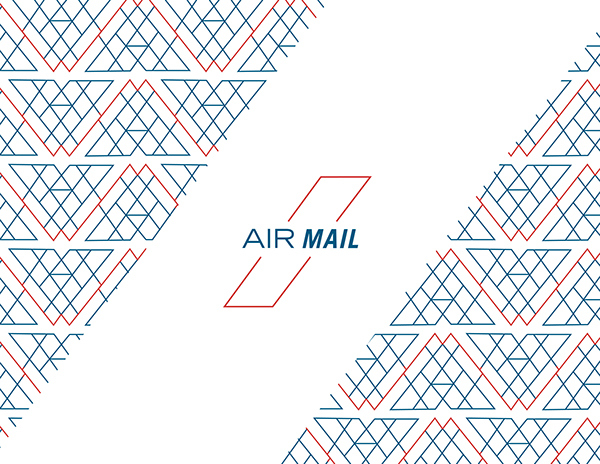 I did not want to completely move away from the rooted tradition, so I based the whole design around the diagonal. 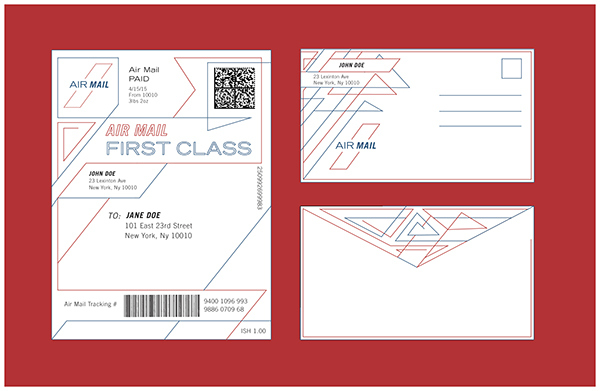 Not only that but the line pattern conveys the sense of movement from point A to point B. 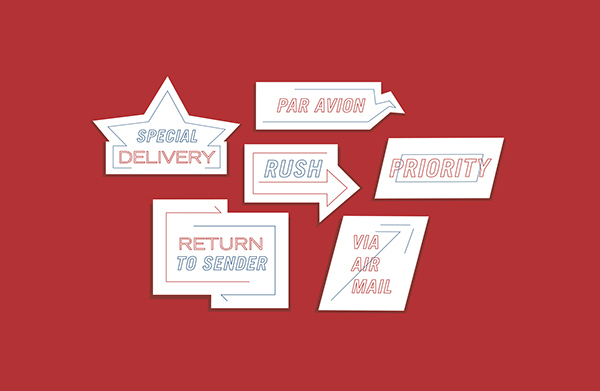 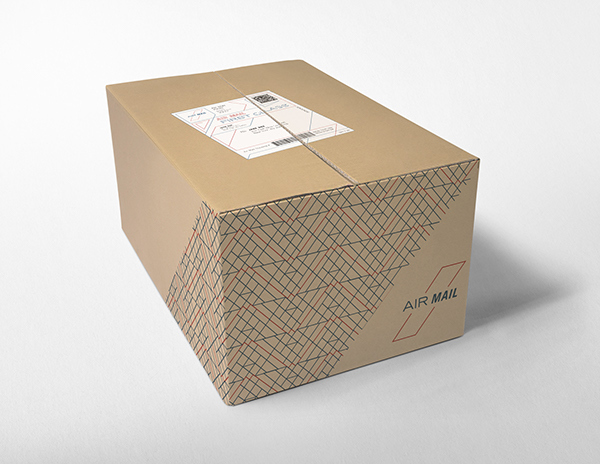 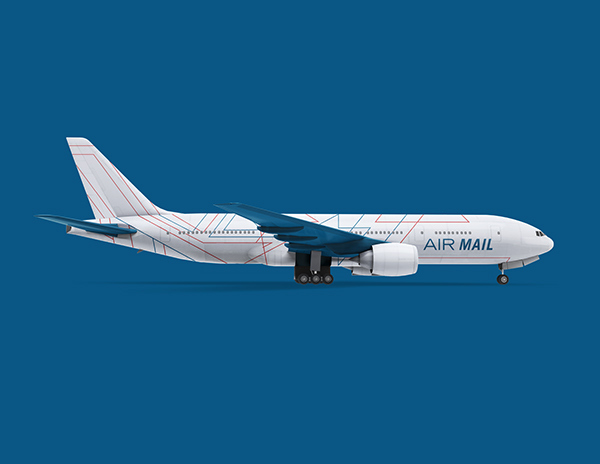 The envelops, delivery stickers and the package label show an energenic and fun update for the concept of Air Mail.